The next entry in the Chaos story line is almost here! Treyarch has shared a new teaser video and said that all will be revealed tomorrow, March 21. 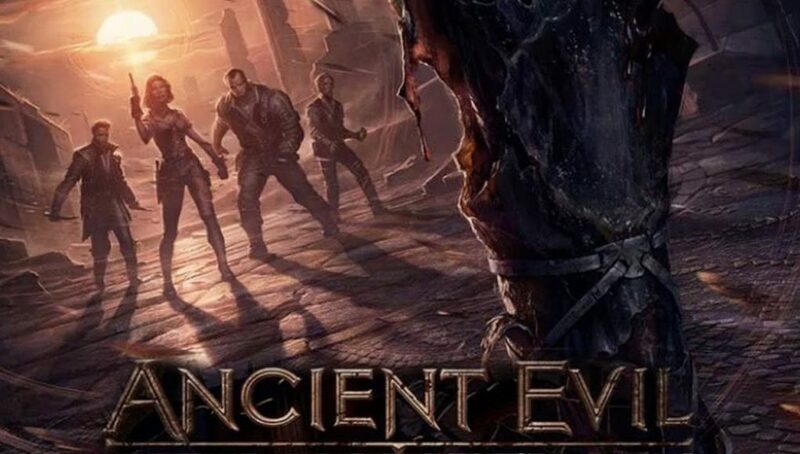 Treyarch has just announced the date for the next Call of Duty Black Ops 4 Zombies map, Ancient Evil. The map will come to Playstation 4 first on March 26th, and will presumably release on PC and Xbox One the following week. Last month during a Developer Livestream, Zombies director, Jason Blundell, confirmed that this will be the last Chaos map “this season.” The remaining two Zombies experiences will take place in the Aether story line that classic Zombies fans should be more familiar with. The map will take place in Greece and is the chronological follow up to the map “IX”. My guess is that the “journey” that the tweet says is ending has to do with the end cutscene of IX that shows the four characters getting decapitated. The new one that is beginning must be related to the arch they are walking towards in the trailer. Eagle-eyed Reddit user “Zslayer321” translated the letters in the archway to read “Poseidon”, the Greek god of the sea. The most recent Call of Duty Black Ops 4 Zombies map is Dead of the Night which is a prequel story featuring celebrity guest actors. That maps release coincided with Operation Absolute Zero, whereas Ancient Evil will arrive a month after the launch of Operation Grand Heist. With this short teaser trailer, expect to see a full length trailer for Ancient Evil sometime before release.